Demi Checkered Midi Just $21.99! Down From $55! Shipped! 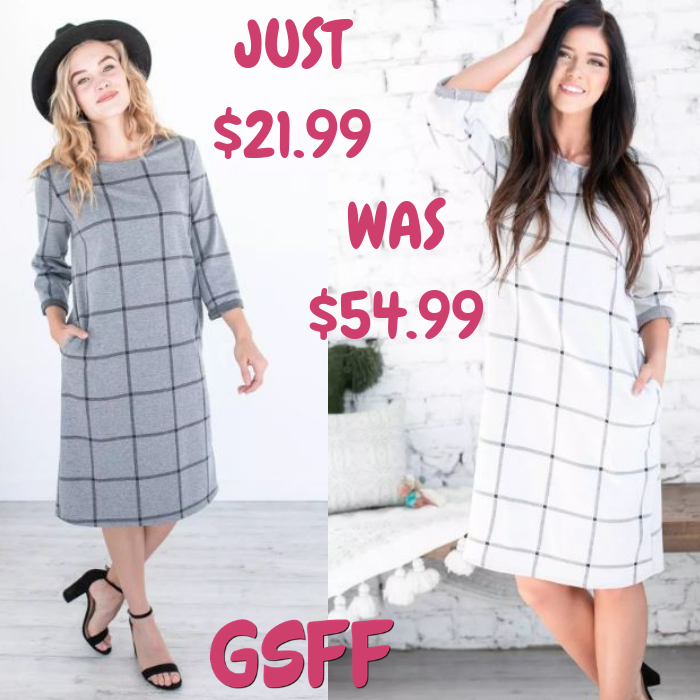 You are here: Home / Instagram / Demi Checkered Midi Just $21.99! Down From $55! Shipped! Until December 3 only! Hurry over to Jane where you can score this Demi Checkered Midi for just $21.99 down from $54.99 PLUS FREE shipping! We are so excited about this new Demi Checkered Midi! From the midi length to the trendy checkered pattern to the fun pockets in the skirt, how can you say no? This dress is comfy and cut beautifully, with a shift fit and such soft fabric that it will quickly become a closet favorite. Available in 2 classic colors, rock it with your favorite heel and you’re sure to look and feel great! Get it while still available!